One blank boring mess. 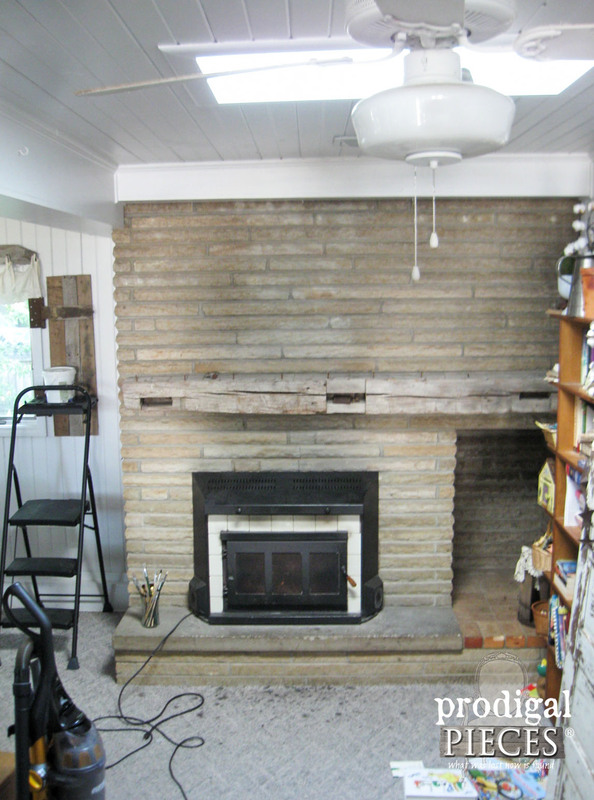 We will be tearing out that carpet and redoing a few things, but my future goal was to freshen up this fireplace when the remodeling was done. Well…my little self saw fit to tackle it now because…I WANTED TO. (laughs wickedly) It’s my vacation, so this is how I “take a break”. It only took me a couple hours to paint the grout lines and then stain the barn beam mantel. My goal was to draw out this beauty instead of it being stuck in a corner. 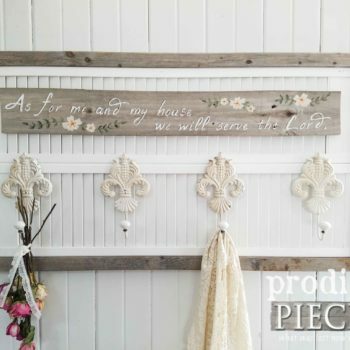 We added the floating barn beam mantel a few years back and I have been debating on staining ever since. Doesn’t it look better? My husband loves it (though it took him over 15 minutes to notice. tsk.) and I’m stoked that is off my checklist. 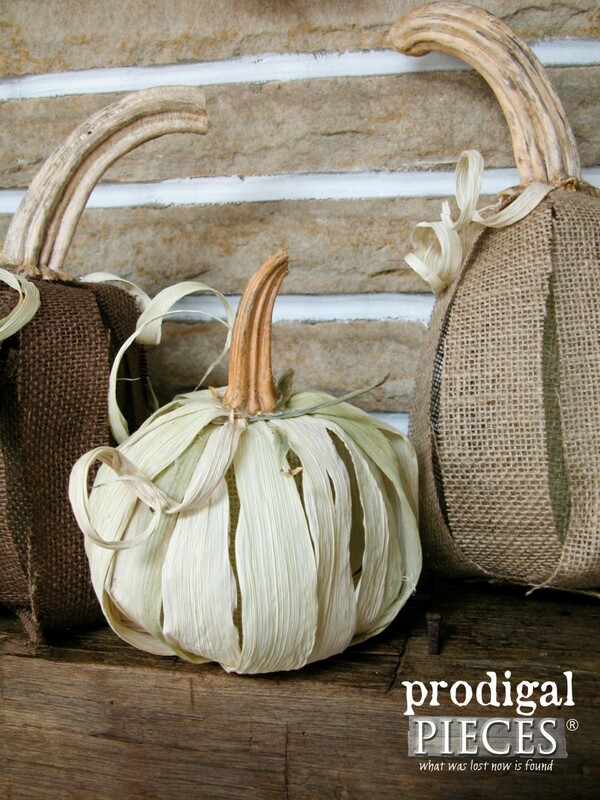 Okay, now that is done I want to show you how to make those corn husk pumpkins and wreath that I have displayed. Sound good? I have a thing for making most anything into pumpkins. 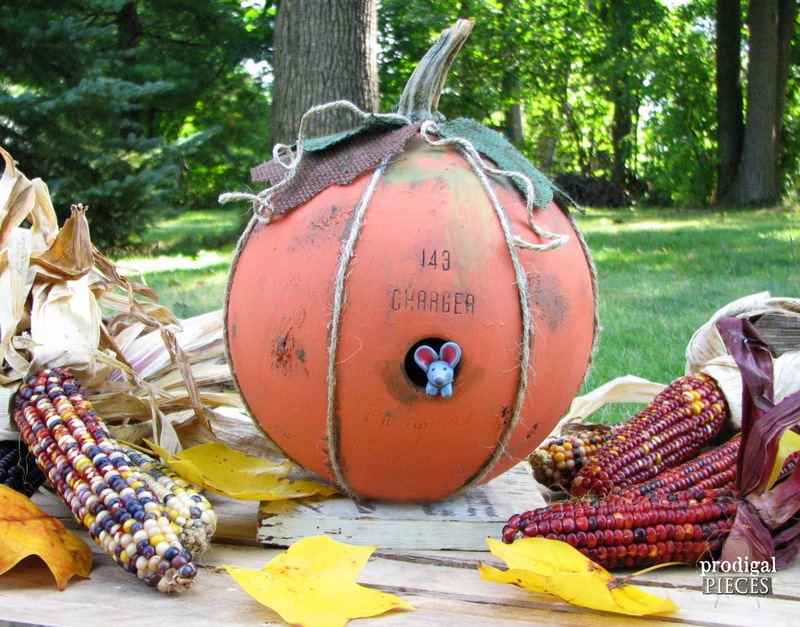 A few years ago was my bowling ball pumpkin. Head here for the TUTORIAL. Meanwhile, last year I created my funky pumpkins from railroad spikes and scrap wood. Head HERE to see how I made these fun cuties OR you can find them available in my shop. So you can see I love to have fun making pumpkins. 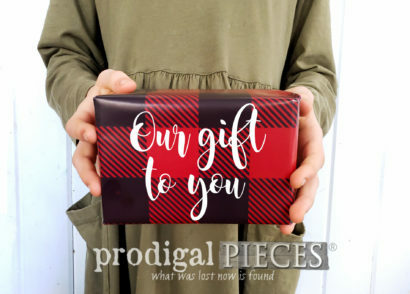 Ready to start making this newest addition? 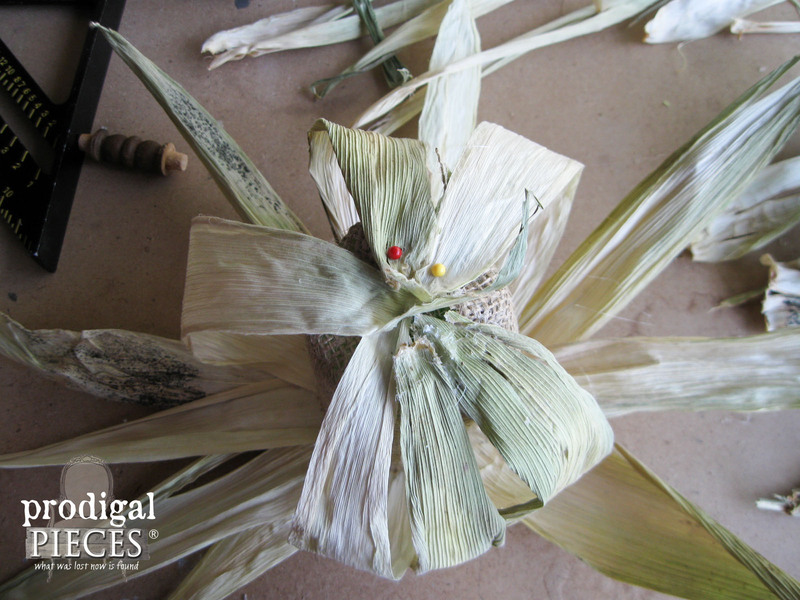 Unless you already have some corn husk dried, you will need to prepare for this project at least a week in advance. 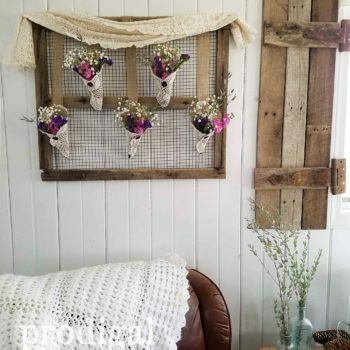 Or, as shown above, you can use any heavy fabric like burlap, dropcloth, etc. 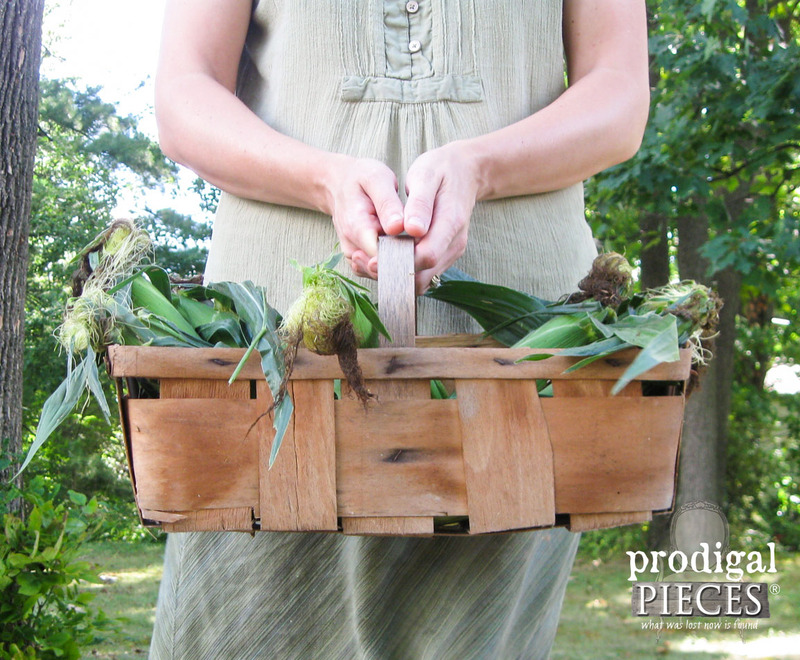 For the corn husk version, shuck your corn making sure to try to keep the corn husk in whole pieces, if possible. 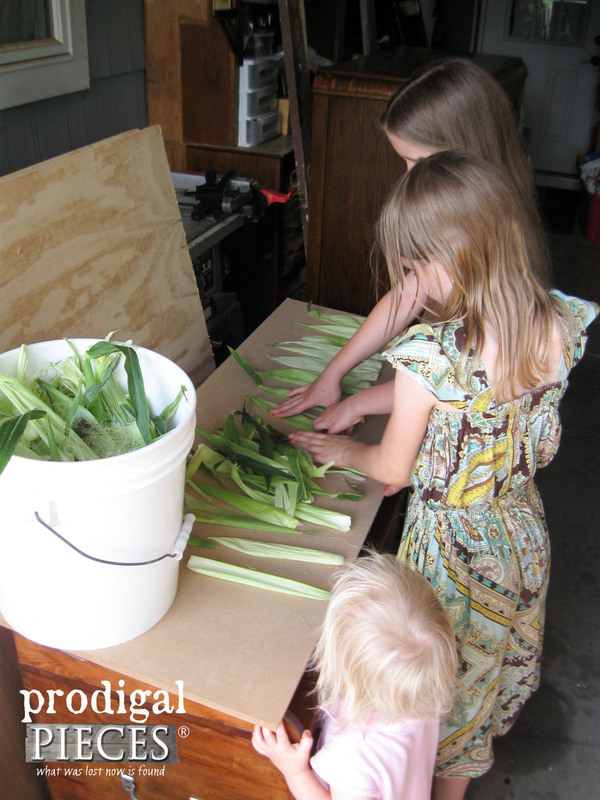 To dry the corn husk, we used some scrap boards and laid them all out. My kids had fun with this part. Then press between another board and let set for a week or so until dry. I’ve used smaller boards and stacked them thick with just as much success. Now that your supplies are ready, let’s get crafting. Grab your pool noodle and cut about a 3½” length off. Next, cut a length of burlap long enough to wrap around the noodle and about an inch and half wider so that it can tuck into the top end of the pool noodle. Glue in place with your glue gun. 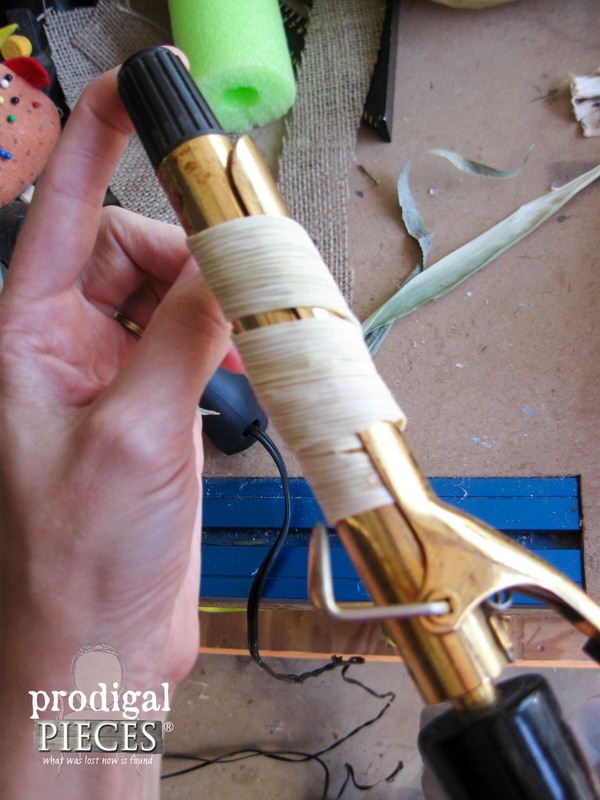 TIP: To save your fingers (ask me how I know) I always use a stick or some other object to press down what I’m gluing. Those glue gun burns are not funny! Once you have the burlap around the pool noodle, begin adding the husk (or burlap) around the bottom of the noodle in a star-like fashion. Here is is shown from the top. If your corn husk pieces are bent or folded, just use an old clothes iron or flat iron to smooth them out. Check a thrift store for used ones that can be dedicated to crafting. Keep adding until the base is full. 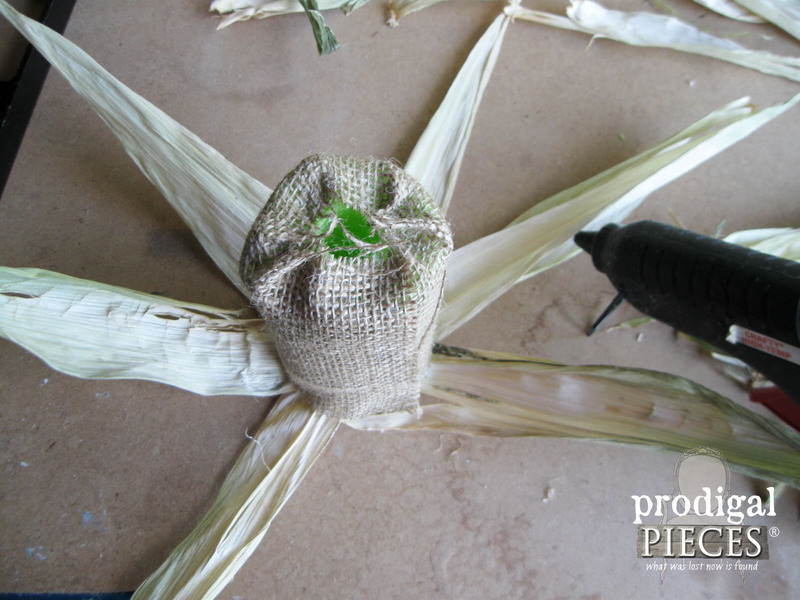 Once done on that end, flip the noodle over and attach the other end of the corn husk to the top using your glue gun. You can even sacrifice some sewing pins to help hold them in place while they cool. 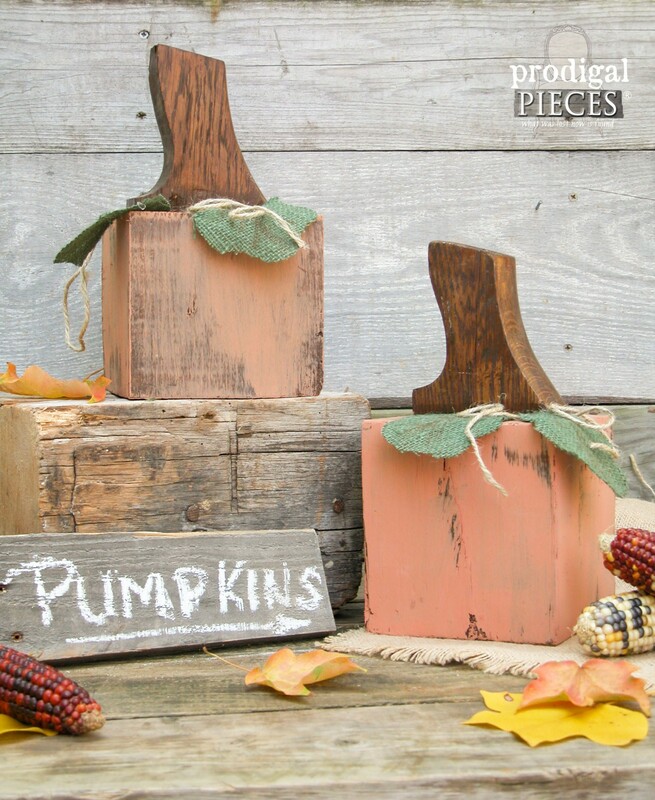 After you have attached all the pieces, just add your old pumpkin stem (each year when the season is over I pull of the pumpkin stems to use for the next year). 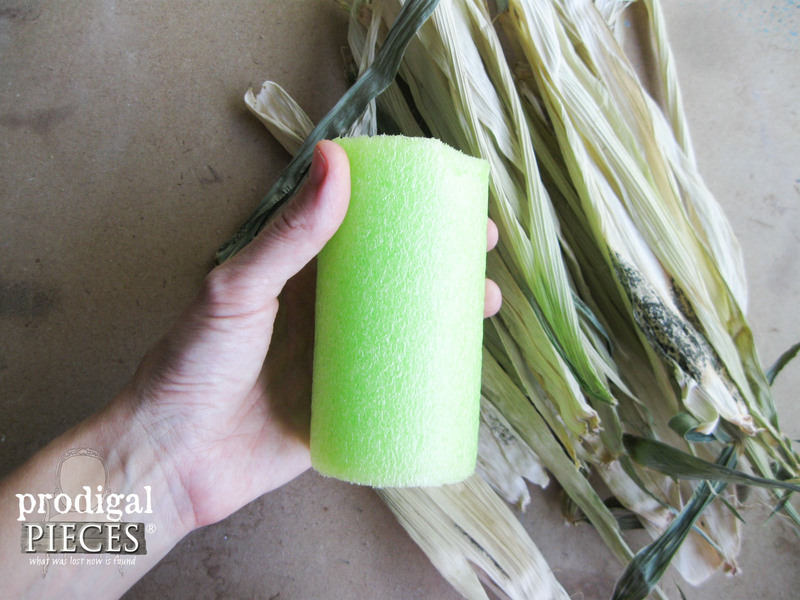 For a bit of texture, you can use a curling iron to curl a few pieces of corn husk to mimic pumpkin tendrils. And you’re done with your pumpkins! 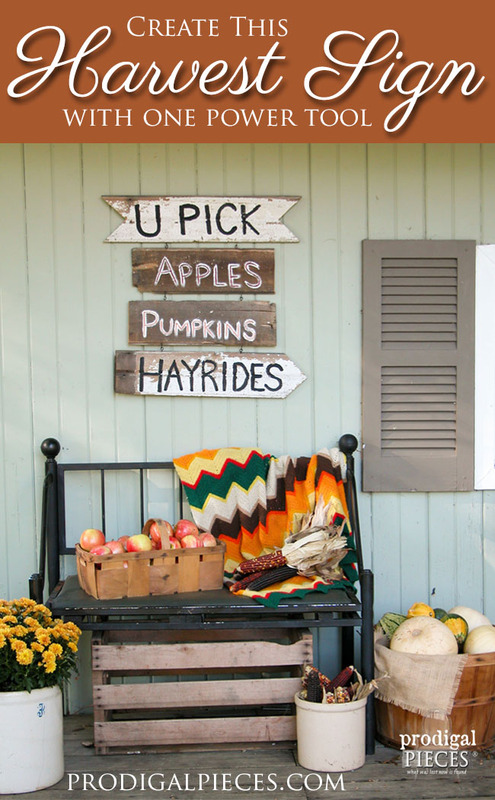 I share how to create that “hello Fall” sign in this tutorial. 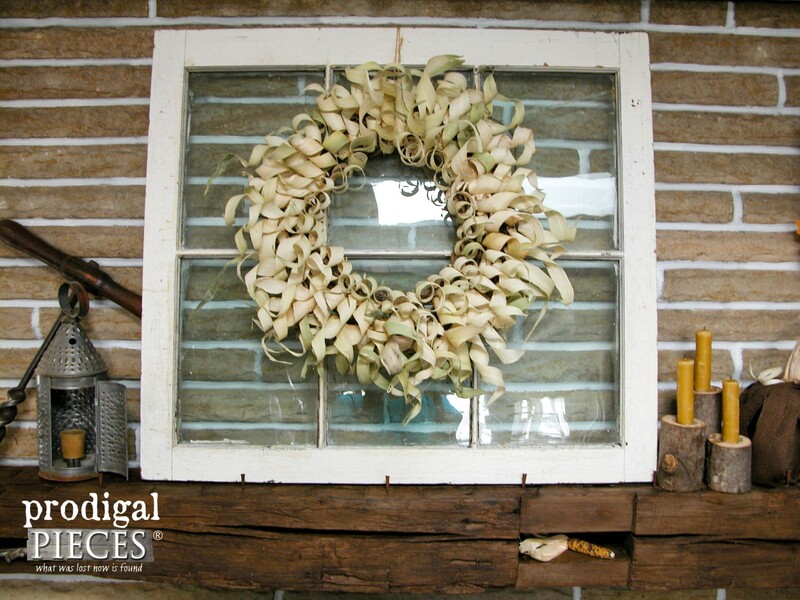 Since I had plenty of corn husk leftover, I decided to create this corn husk wreath using a grape vine wreath to start. You could use another pool noodle wrapped in burlap, or whatever wreath base you prefer. To make this wreath, I just simply curled the rest of the dried corn husk with a curling iron and attached with my glue gun. I love it because it’s simple and fun. No need to break the bank to make your decor. And by adding natural elements to your home brings a soft touch. 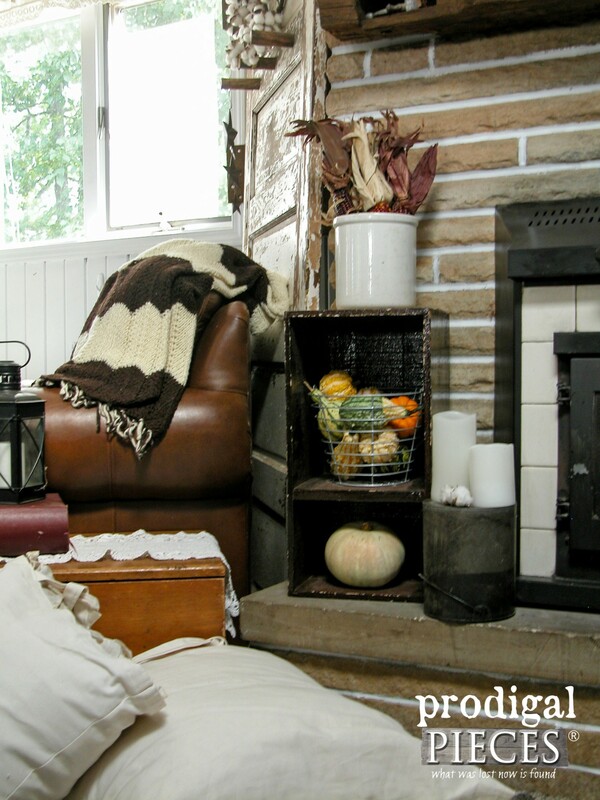 Last year, my mantel focused on neutrals, but this year I brought a little of those gorgeous fall colors back in. Oh, and if you love those log candlesticks, I have the tutorial to DIY them over here. Or better yet, to inspire others to give their home a fresh touch. 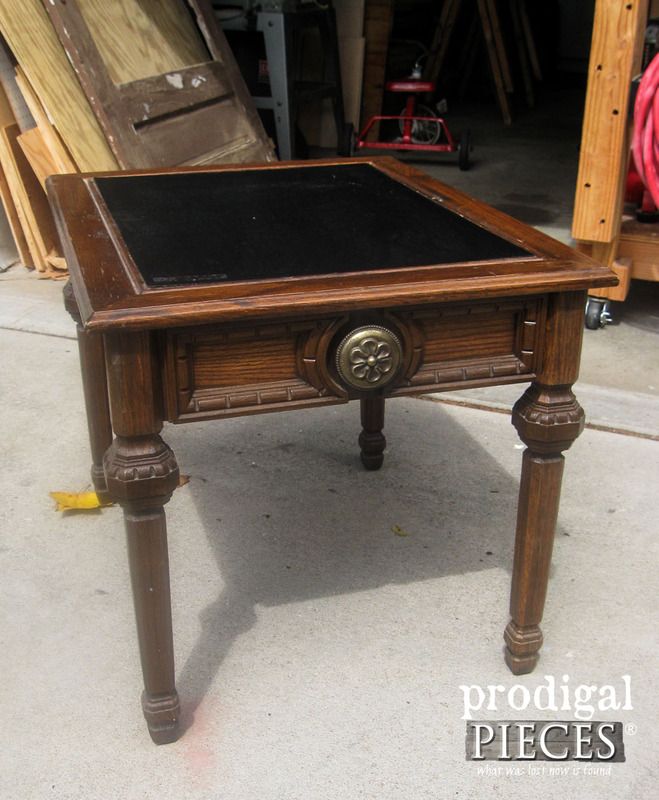 Up next, I have a furniture makeover for you using this Mersman side table as my subject. It’s time to get some bling on! 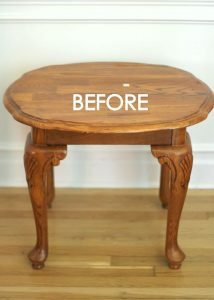 See the after HERE. WAIT!! 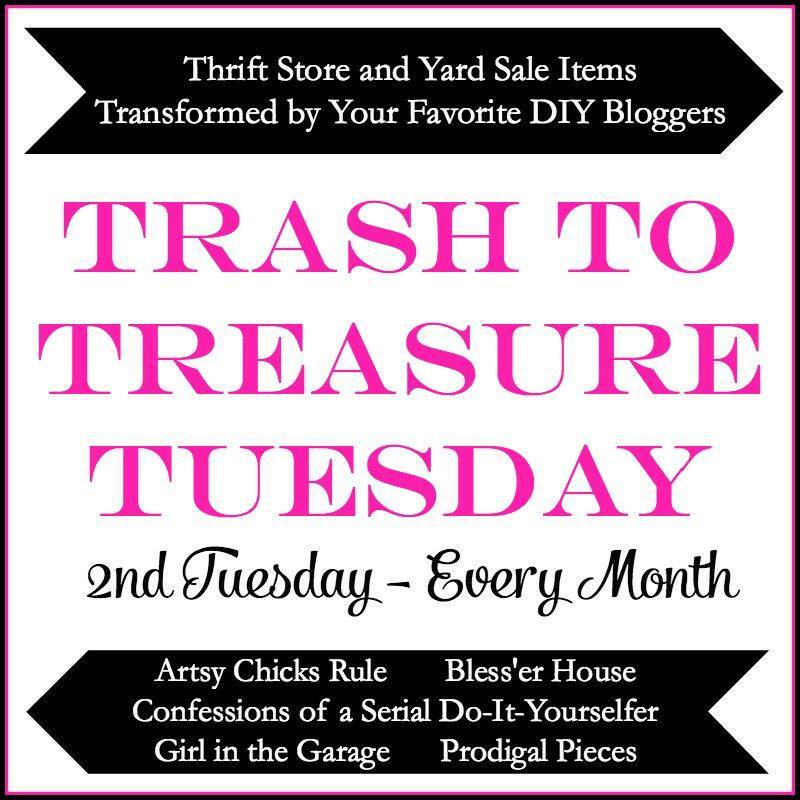 Don’t forget to check out these awesome makeovers by my Trash to Treasure friends! 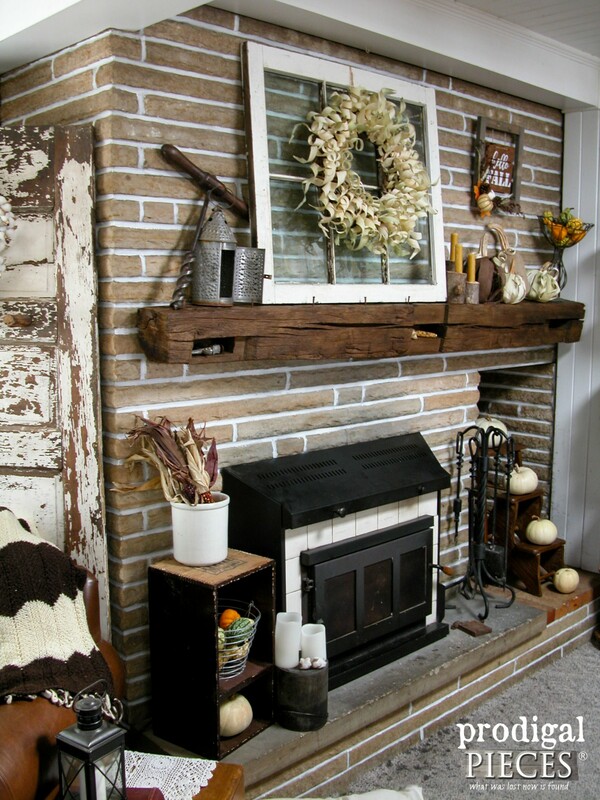 What an amazing transformation of your fireplace just by painting the grout and staining that fabulous mantle!!! It seems to deepen the color of the stone and really adds definition. Just beautiful!! 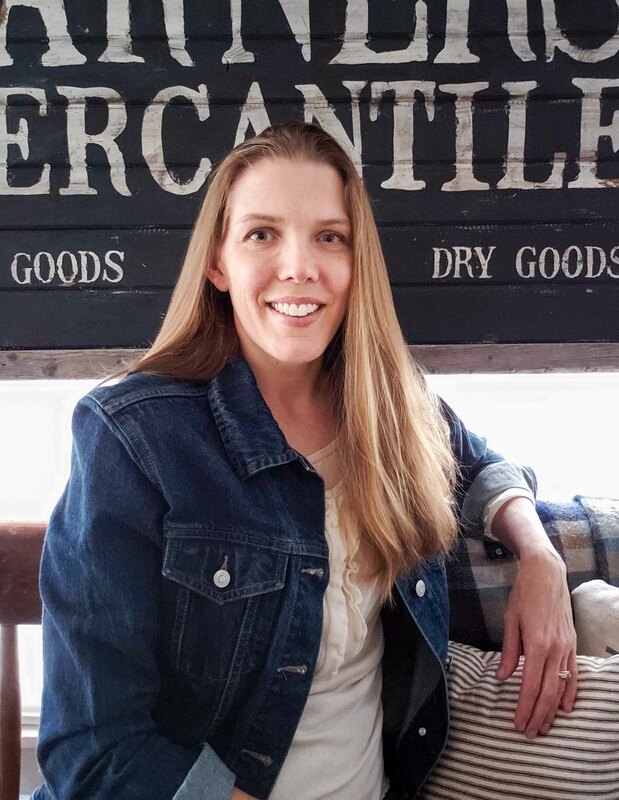 Hmm, farmers market is today and there are always vendors with sweet corn – I might just have to snag some and make that wreath & a pumpkin or two! Can’t wait for info on that sweet Hello Fall sign! 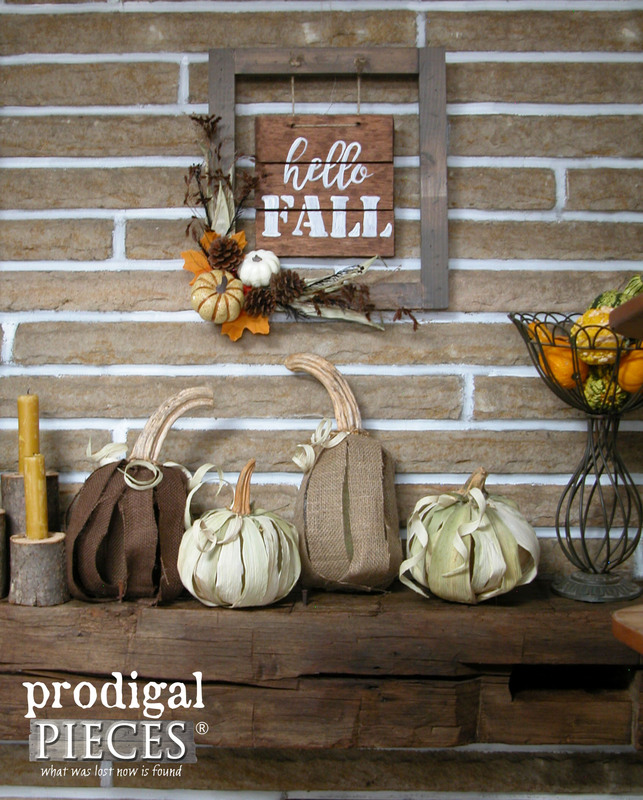 Your fall display is subtle, warm and oh so inspiring! Keep the great ideas coming! Awesome to hear, Joyce, because that’s just how I feel about it. 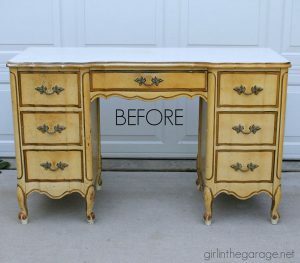 It really made a difference to brighten up our room and we love it! Painting the grout and staining the mantel made a HUGE difference. It looks soooo much better. Love it! That 80’s look just had to go. I can’t wait to tackle the rest of the room. Especially the carpet!! Your fireplace make over is unbelievable. I questioned painting the grout at first but it really made a difference and the mantel is perfect. Love the end result. I did too and why I waited so long in case I would change my mind, but we LOVE IT! Thank you. I love the fireplace makeover. It just makes it “pop.” I love all the decor around the mantel, all your artistry. Wish you were my neighbor! You would be a “jolt of caffeine” by just coming around for a cuppa. So ambitious. I like being busy as well. Love all your projects. 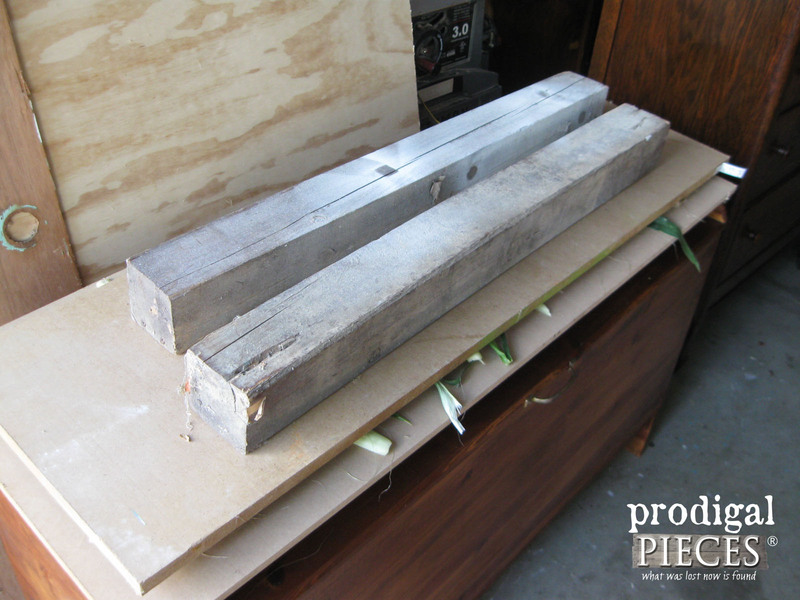 Can’t wait to see the hickory counter tops. Can’t visualize like you can. hahaha…my husband always says he doesn’t know how I do it. That’s saying something as he is man of very few words. 🙂 Thanks, Sherry! I am a sucker for stone and the sandstone and beam were being lost in it all. I meant to use a basic flat white, but accidentally grabbed my Kilz, so Kilz primer it was. ha! Larissa, This is a fantastic makeover. The new white grout just makes the fireplace stones POP!! I am quite surprised at how it has come alive!! Great job!! And that mantle. . I love it!! The dark stain allows it to stand out so well. You never cease to amaze me. Tell your little helper daughters that the pumpkins and wreath is BEAUTIFUL, and great job on helping Momma!! 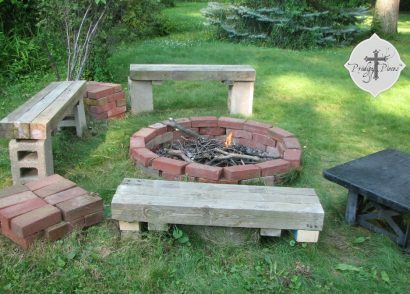 Thankful for Pinterest where I was able to find a picture of my idea to my husband which allowed me the benefit of I “won’t ruin our fireplace”. hahaha… I am blessed to have an easy-going husband. Thanks so much, Karen! They had fun! I love it! 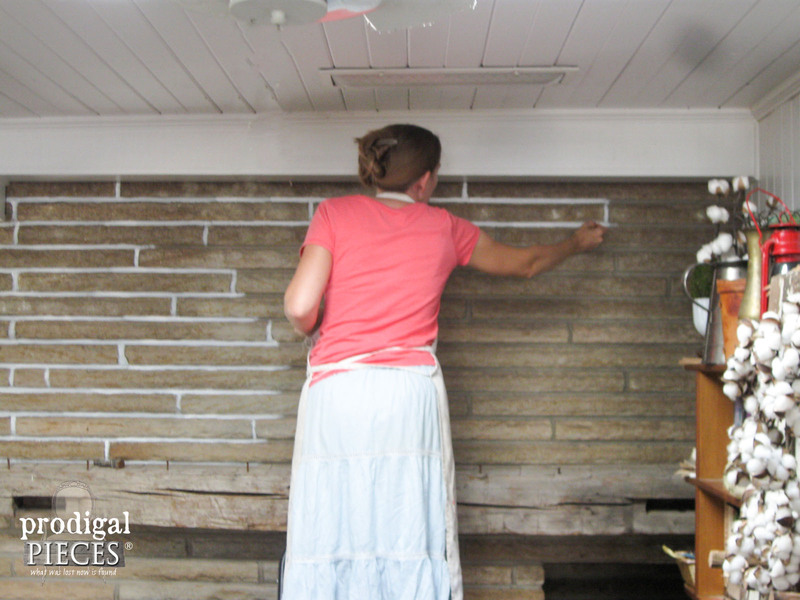 Going over the grout on the fireplace and staining the mantle made such a huge difference. The pumpkins are so cute! I hope your toe is feeling better and be back to normal quickly. Your mantel and fireplace look wonderful! What a transformation. Even though the shapes are different, the mood and colors now remind me of Pennsylvania Bucks County Stone and the entire fireplace has that antique-been there forever but I’m still beautiful-vibe! Congrats!! AND I like the corn husk pumpkins the best. How sweet is that?! Thanks for the encouragement, Karen. I had fun! The fireplace is awesome, it’s beautiful it stands out now not hiding in the wall. It has character now. Exactly why I did it. Thanks so much for the love! You are just amazing, I wish I had your energy and half your talent. Your fireplace looks so pretty, such a big improvement. 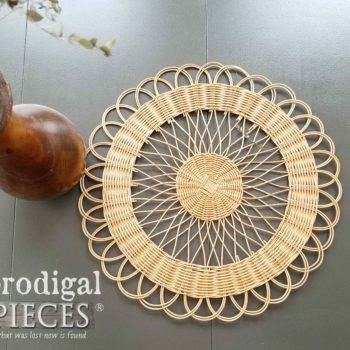 I love cornhusk craft I have a basket and some flowers made from cornhusk that I have had for years and still looks as good as the day I bought them, they hold up really well. Your pumpkins are so cute. I can’t wait to see your kitchen completed and especially the counters. I just know that wood is going to be so gorgeous, I will be green with envy, but so happy for you. That’s great to hear, Patty. They were so fun to work with and I didn’t have to do anything to them, but use them up. Easy! I cannot wait to see our kitchen come to fruition. Major mess yet to come until we’re done. Whew! Hmmm…if you spray before curling I think it will come off, but maybe after? Thanks, Christy. 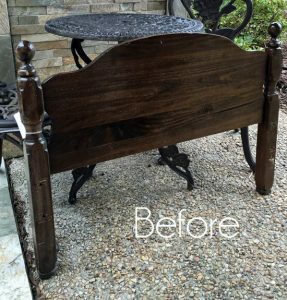 Staining the mantel is one of the biggest bang for your decorating budge I’ve ever seen. Lovely. It just needed something as it was hidden. I could have took it down and used a pressure washer to get to the original color, but my husband would not be happy with that request. 😀 I’m happy with it and so is he! 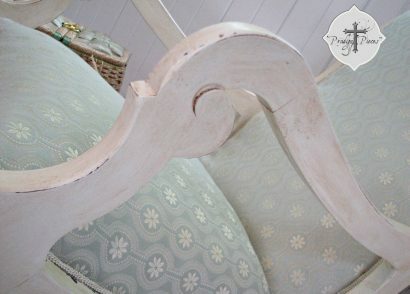 I love the change….staining the mantel is perfect! Painting the grout….priceless!!!! Really enjoyed this post! 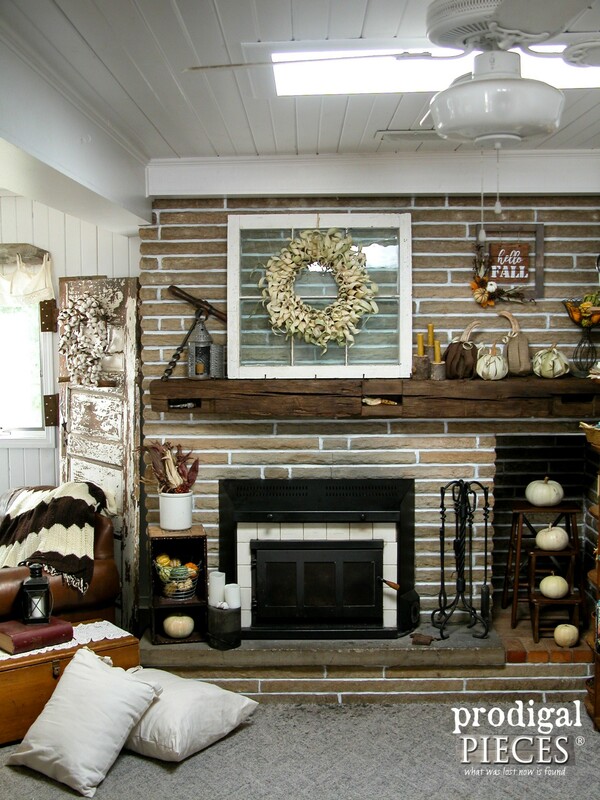 What a difference you made to your fireplace – you put the Focal in Focal Point! 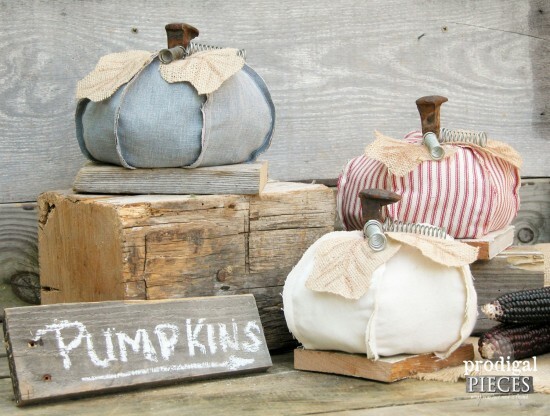 Very clever idea for pumpkins too and so easy. I’ll be thinking twice about composting our corn husks this Fall. Hope that toe is feeling better! As you can imagine it was driving my brain nuts to not only have our kitchen taking longer than expected, but also dying to get to our living room. aaahhh!! It felt so good to get that out of my brain. Thanks, Marie! Love the way the fireplace looks now! And how creative are you?? Love it all!! I can’t wait to get it all done, Julie. Thanks so much! Larissa the fireplace looks great just a little change and it made a huge difference. And the pumpkins are adorable. Love your high end tools to curl the husks! hahahaha…yes, I don’t break the bank in any way around here. 😀 Thanks, Mary! Thanks! I love that it feels like we’re helping out home stay “alive”, if you know what I mean. Wow! So much of a change. Great job! I think that is one of the best mini room make-overs I have ever seen! Warm, inviting, homey, you just want to sit down and stay awhile. You really nailed it. Awesome!! Thank you so much, Wendy. I seriously had fun.